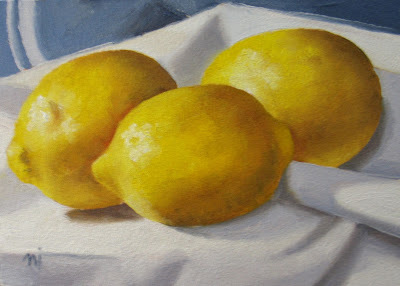 Oil on Wood Panel, 5" x 7"
Some pretty Sundance organic lemons from the Natural Food Store here in town. I tried to pick the lumpiest ones I could find, but it didn't really show up here. I'll try again for good lumpiness.